A great place to socialise whilst enjoying regular entertainment nights. Join our newsletter to keep updated. We have many new billiard and pool tables to enjoy with all of your friends. Perhaps one of the most important parts of a social club - a well stocked, well priced bar, serving snacks & beverages. The ESSC has a function room available to hire out for any event you wish. Ask us for more information. We have many activities and clubs including chess, snooker, darts, fishing, bingo and more! 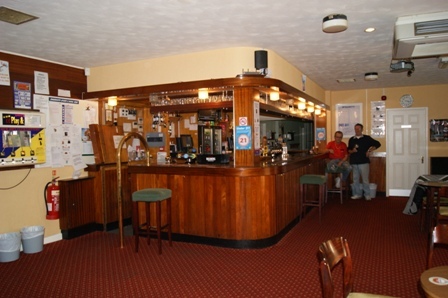 The ESSC is a local club that provides many activities for its members including, teams in local darts, snooker, bowls and old english bar billiards. It also has weekly clubs for bridge, bingo, diving, chess & fishing. Family friendly club, something for all ages. Copyright © 2019 Emsworth Sports & Social Club.